Apple on Tuesday unveiled new iMac models that support up to 64GB RAM. Apple charges high prices for RAM upgrades, though, but luckily, there are do-it-yourself options for replacing an iMac's memory after purchase. Other World Computing this week announced memory upgrade kits designed for the 2019 27-inch 5K iMacs, which let you upgrade your available RAM more affordably. OWC's RAM kits let you save 40 to 60 percent over Apple's upgrade pricing, and there is an option to trade in the existing RAM in your machine to get a discount. 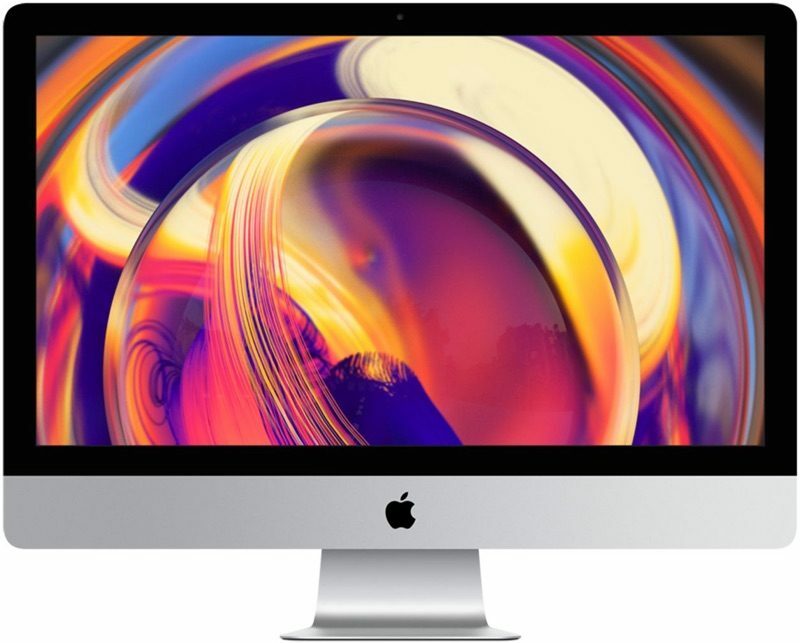 OWC says that it is testing 128GB of memory in the 27-inch iMac models and will confirm whether or not the machine supports it in the near future. So far, the 27-inch iMac has been able to see 128GB of memory, which seems promising for even further RAM upgrades. OWC offers a lifetime limited warranty for its memory kits, along with a 30 day money back guarantee. Note: MacRumors is an affiliate partner with OWC. When you click a link and make a purchase, we may receive a small payment, which helps us keep the site running. Can't recommend OWC enough. Just got a 256GB SSD upgrade for my aging Power Mac G5 Quad. Timely delivery and good prices. Their continued support for older Macs especially is fantastic. As tempting as it may be to save a few bucks, keep your old ram. You never know when you may have to get your iMac repaired or replaced. Replacing your RAM with third party RAM DOES NOT, I repeat DOES NOT, void your warranty or AppleCare+. If an employee at a store tells you this, they are flat out LYING. I know this as I previously worked at an Apple Store. If they find that your RAM is causing an issue, their Family Room Team ie. Genius Bar, should have test RAM (Known Good) to ensure that all other components are functioning. I feel like the RAM in the 2019 model is literally interchangeable with the RAM in the 2017 model. Literally the only change in these 2019 iMacs is a new processor and a new GPU option. iFixIt, prove me wrong. I refuse to buy anything from them after their old firewire/usb raids and dealing with failures across the board from them. To add to the point, I have an out of warranty iMac with the OWC RAM and needed a repair. The genius bar guys took a look and still performed all the necessary repair with those RAM in place. I’m ex Apple too and can confirm RyanXM’s points. It just seems so ridiculous how much Apple charges for upgrade, when you can get the same amount of memory AND keep your old memory for so much less. Why do you so many of you tolerate it? It's OWC great video tutorials that helped me upgrade my 2012 MacBook Pro with RAM and a SSD and extend its lifetime, save my money and keep the Mac from the landfill. Can't praise them enough. I just bought this yesterday, which is cheaper. The iMac comes with 2x4GB for the 8GB config. This is a 2x16GB kit for $199 from Crucial, which has been a good brand for me in the past. I'll then upgrade them in matched pairs (since there are four slots) so they can use the full speed dual-channel and then I will have an upgrade to 40GB of RAM for $199 on my new 5K iMac, with all the other specs maxed out.